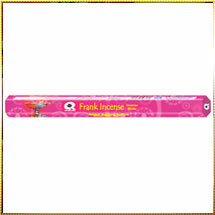 Start your day on a fresh note with our latest range of Frankincense Incense Sticks. The Natural Series collection of Frankincense Incense Sticks is like a bundle of fresh flowers that captures all hearts. We have carved a niche in offering premium Frankincense Incense Sticks that releases less smoke and with their fragrance creates an environment that is deeply stimulating.